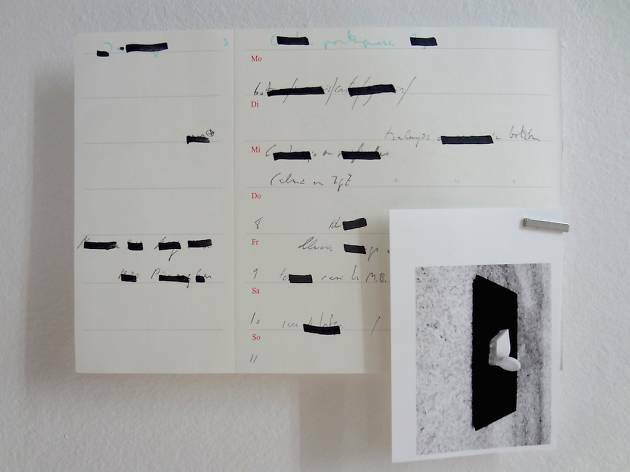 This exhibition, conceived by etHALL and Jorge Bravo from a selection of drawings notebooks released between 2010 and 2015 by the Aragonese artist: 'Espantapájaros para la pobreza inducida' ('Scarecrow for induced poverty'), 'Pánico esnob' ('Snob panic'), 'Egolactante sudando finanzas' ('The Egofeeder sweating finances') and 'Con/com Placer te/ti/tú' '(How to please you'). 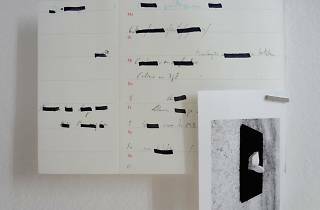 These various drawn texts and written drawings presented in the gallery are dramatized via a delicate artificiality – they're supported and attached to the wall by magnets, in particular positions of balance. This way they distance themselves from the wall and are treated as objects of specific and different weights.